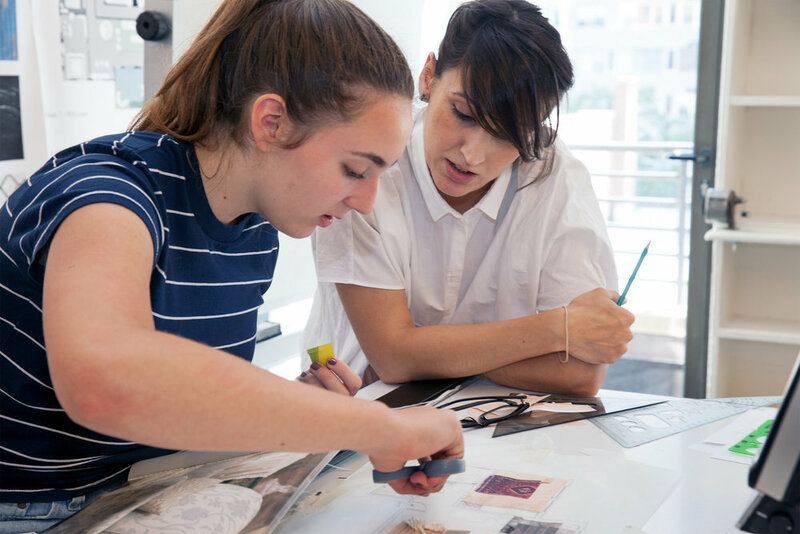 The Precollege program—open to high school sophomores, juniors, and seniors—is a unique way to fully immerse future-designers in the practice of interior design. You’ll study color, materials, architectural drawing, and digital media. You’ll visit design firms and museums, and spend your downtime hanging out in the nation’s design capital. And all classes are led by the same established designers that teach in our undergraduate and graduate programs. This program will build your portfolio, answer questions about your future, and give you a head start in interior design. Students receive one undergraduate credit for completion of each course. The Summer 2019 pre-college program is open to high-school sophomores, juniors, and seniors. The College offers housing to precollege students at a modern residential facility at 97th Street and Third Avenue, which is easily accessible to NYSID and is in a neighborhood full of shops and restaurants. This housing is available for an additional fee (summer only), and is offered on a first-come, first-served basis. Create a room of your dreams using your favorite medium(s): graphite, watercolor, acrylic, oil, etc. Strong submissions will be work done by hand and will demonstrate theme, color and functionality. Collages, photography, etc. will also be considered. Write a one-page essay explaining your room design and tell us why you want to study interior design. Save both as a single PDF document and email to precollege@nysid.edu with the subject line PRE-COLLEGE SCHOLARSHIP SUBMISSION no later than April 30. Winners will be notified by May 15th. If you have questions about the Summer 2019 program, contact our office at admissions@nysid.edu or 212-472-1500, ext. 205. Refund policy for all Pre-College courses: Refunds must be requested at least one full week prior to the first session or no refund is permissible. To drop a course you must notify NYSID in writing. All refunds are issued by check, regardless of the student’s method of payment.